The best dog treats should pack plenty of protein. They should also be free of unnecessary additives like artificial flavors, sodium, and extra sugar. To find the best, we consulted vets and dog trainers, scrutinized ingredient labels, and had our own pups taste the finalists. Because dogs have individual tastes (just like humans), our top picks offer a variety of textures and flavors to appeal to even the pickiest pooch. We started with a list of more than 300 dog treats — every major brand we could find at pet stores and online retailers, from PetCo and Chewy.com to Amazon. Then we spoke with vets and dog trainers, who told us what to look for: simple, non-processed dog treats made with protein-packed ingredients and without unhealthy fillers. We narrowed it down from there. Preservatives are necessary for making treats shelf-stable, but there are a few that raise some long term health concerns. Since we prefer to be extra safe when it comes to our pets, we avoided these potentially harmful ingredients in favor of natural preservatives like tocopherols (vitamin E) or ascorbic acid (vitamin C). BHA and BHT: BHA and BHT are artificial preservatives used by popular dog treat brands like Milkbone and Purina, but there’s evidence to suggest that they’re carcinogenic to animals. 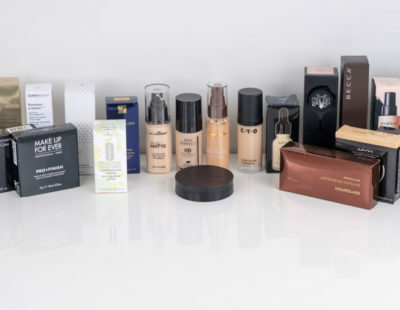 Artificial dyes: Many artificial dyes are suspected carcinogens as well — and they’re used for nothing but cosmetic effect that your dog won’t care about. After cutting out questionable preservatives, we made sure that the remaining ingredients in each treat were the highest quality. That meant cutting out by-products or “meat meal.” Meat meal consists of viscera, bones, beaks — the types of things you’d never eat, but your dog can palate. Though byproducts aren’t inherently bad, it’s hard to assess their quality. This has led to concerns about safety and lack of nutritional value, so we avoided them altogether. We also got rid of treats that rely heavily on corn, wheat, or soy. These grains are often used as fillers, taking the place of healthier energy sources like whole meats and vegetables. Note that for baked foods like biscuits, some type of grain or starch is necessary to hold the treat together. For these, we prioritized brands that use nutrient-dense carbs like sweet potatoes. Finally, we cut out dog treats that use artificial sweeteners like corn syrup or sugar. With pet obesity and diabetes on the rise, these additives are widely regarded as harmful. We only made one exception: For moist treats, we allowed pure cane molasses — a safer moistener than artificial chemicals like glycerin. Once we’d homed in on the healthiest, safest dog treats, it was time for some paws-on testing. We brought in our own pets (one puppy and two adult dogs of medium size) and let them taste-test our finalists — after all, the best dog treat has to be one that you pup will go nuts for. 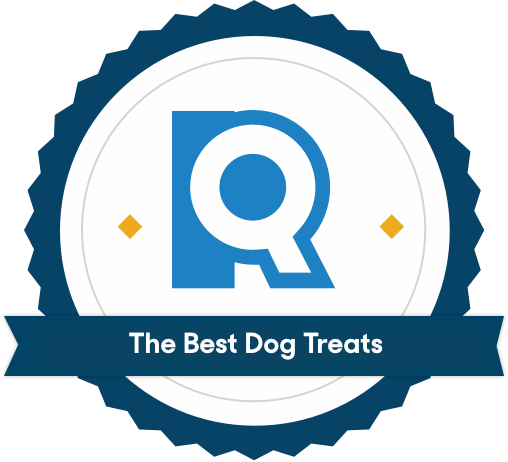 Our top picks were the winners across each variety, so whether your pet prefers chewy, soft, tough, or crunchy, you can find the best dog treat for them. George, one of our in-house testers, offered his expert opinion on the best dog treat. Stella and Chewy’s freeze-dried treats are as minimally processed as they come; nothing but a healthy mix of whole proteins in yummy, bite-sized portions. 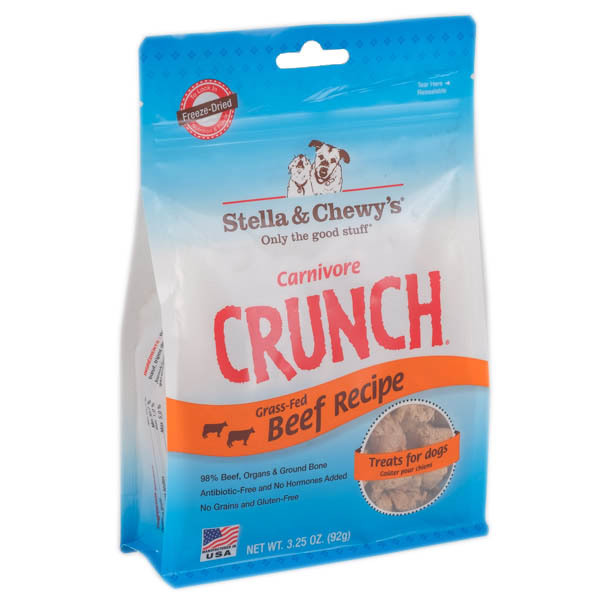 Stella & Chewy’s are a freeze-dried treat, which is as close as you can get to feeding your dog fresh cuts of meat without actually cooking up a ribeye. This category tends to be less processed than biscuits and jerkies, helping you avoid unnecessary salts, sweeteners, and carbs. And compared to brands like Merrick Backcountry, which include more processed foods like potatoes, gelatin, and salt, Stella & Chewy’s is a healthier freeze-dried option. Even among our freeze-dried finalists, Stella and Chewy’s Carnivore Crunch was a standout. The ingredients are just beef, organs, and bone. Pumpkin seeds do show up low on the list, but they’re a nutrient-heavy filler that clinical research suggests may also help your dog ward off parasites. 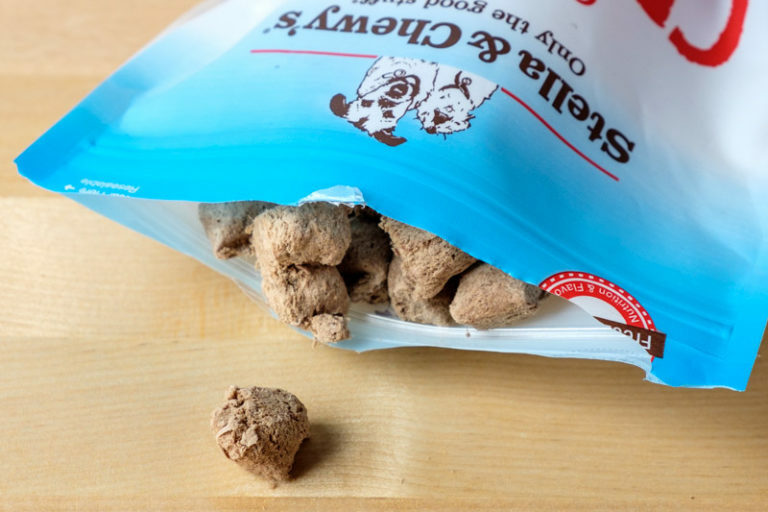 The addition of ground bone and organ meat also sets Stella and Chewy apart from single-ingredient treats like Only Naturals chicken bites. Single-ingredient formulas are certainly healthy, but don’t pack quite the nutritional punch that bone and organs do. Stella and Chewy’s Carnivore Crunch bites have just three calories per treat. Individual caloric needs for pets vary, but an average 22-lb adult dog only needs about 400 calories per day, and only 10% of those (i.e. 40 calories) should come from treats. If you’re doling them out frequently, you can hit that limit quickly. This makes Stella & Chewy’s low-cal bites ideal for training. At $10 for each 3.25-ounce bag, Stella & Chewy’s are cheaper than other premium treats with similar ingredients (Orijen Originals, for example, ring in at $13 per bag). 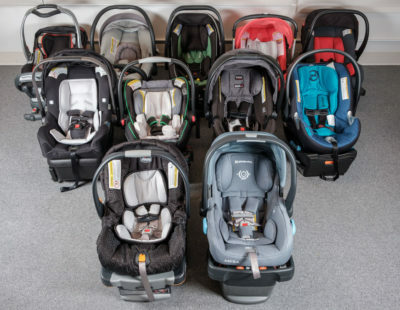 That said, they’re still a bit spendier than most of our other top picks. If price is a concern, take a look at Canidae Pure Heaven biscuits — the most affordable treat on this list. It’s a tiny quibble, but freeze-dried treats tend to crumble more easily than other varieties. If you carry treats in your pockets while walking (or if your dog isn’t a living vacuum), you may find yourself cleaning up crumbs. 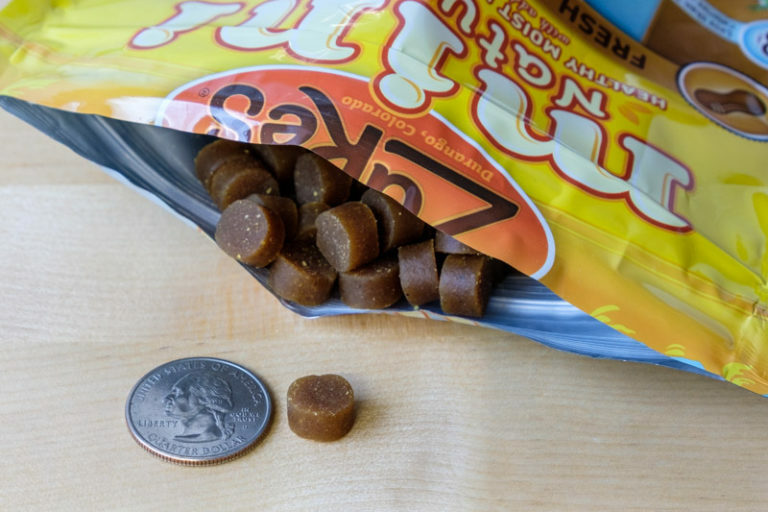 Try a moist dog treat like Zuke’s Mini Naturals if you’d rather avoid the pickup. 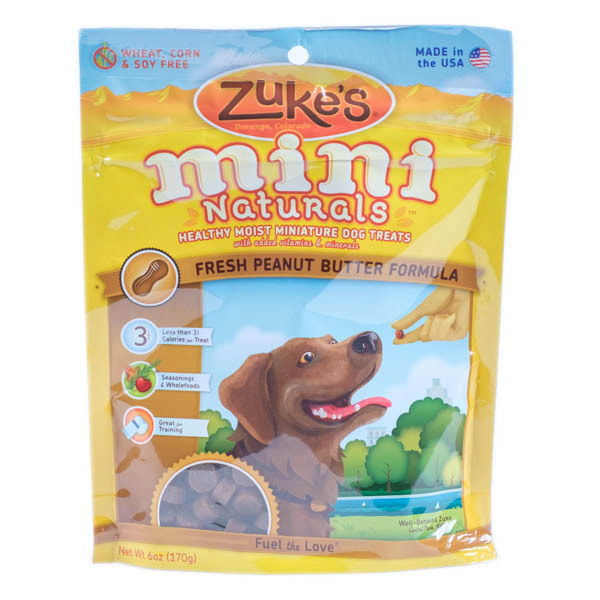 Zukes mini bites are more heavily processed than a freeze-dried treat, but softer and more portable, making them great for long walks or training sessions. Zuke’s Mini Naturals are one of our cheaper picks, too. We tested the peanut butter flavor, which rings in at just $5 for a 6-ounce bag. Note that prices do vary by flavor, and meat-based varieties like chicken, roasted pork, and wild rabbit are a bit more expensive. The experts we spoke with prefer freeze-dried treats because they generally use the simplest recipes. While Zuke’s mini bites use very high quality ingredients, they do include foods that tend to require more processing (like grains and gelatin). If you and your pup are purists, stick to a freeze-dried treat like Stella & Chewy’s instead. ZiwiPeak venison strips are perfect for dogs that like a tougher, chewier treat — plus, they’re free of the added sodium found in most jerkies. ZiwiPeak’s simple ingredient list consists of 98 percent whole venison, grass-fed and sustainably sourced from New Zealand. This commitment to a high-quality meat source really makes the company’s treats stand out. 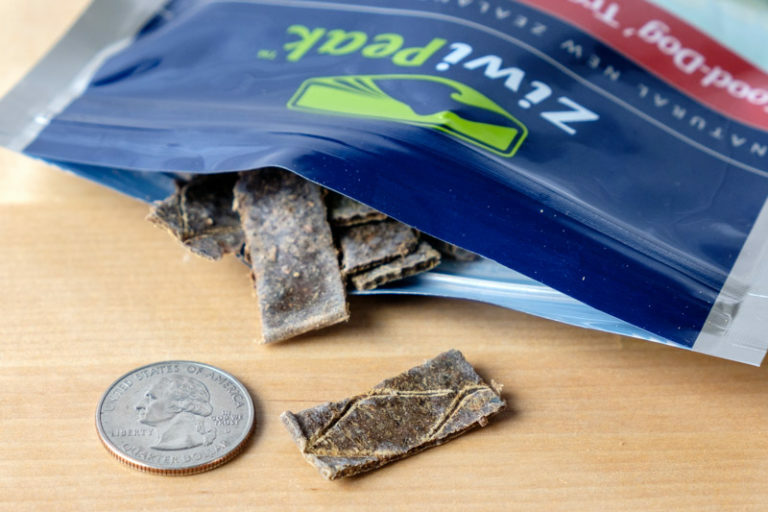 The FDA has expressed ongoing concern over contaminated jerky treats sourced from China, which have been linked to a number of health problems in dogs. 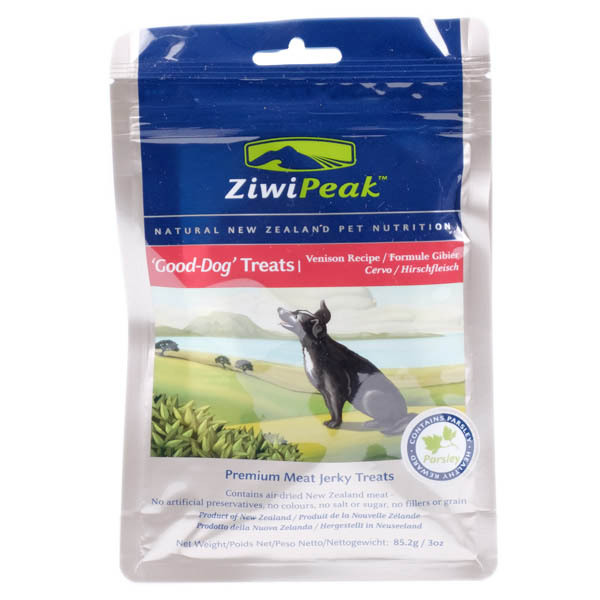 ZiwiPeak’s transparency will be reassuring to concerned pet parents. These chewy strips have a slightly drier, tougher texture than semi-moist treats like Zuke’s, making them a good option for dogs who like to chew. Unlike other jerky treats, though, they come in small bites that make them easy to use for training — and they’re easy to break into even smaller pieces if necessary. ZiwiPeak also stands out because of what it doesn’t have: added salt. Canine nutritionist, dog trainer, and author Linda Case notes that jerky or cured meat often includes added sodium, which “can lead to increased water intake and increased urination if large amounts are fed.” Of all the jerky-style treats we tested, ZiwiPeak was the only option without additional sodium. ZiwiPeak venison strips are the most expensive treat on this list, at about $15 per 3.5-ounce bag. Of course, the price tag may be worth it if you’re seeking ultra high-quality meat for a jerky-loving dog. If you’re not ready to shell out, though, our non-jerky picks offer equally safe and healthy ingredients at a lower price point. 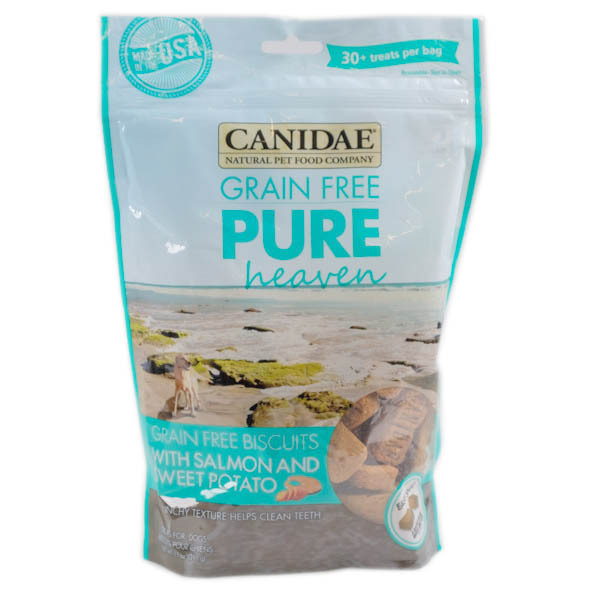 Canidae’s Pure Heaven treats are crunchy and delicious, without any of the the low-nutrient fillers normally found in dog biscuits. 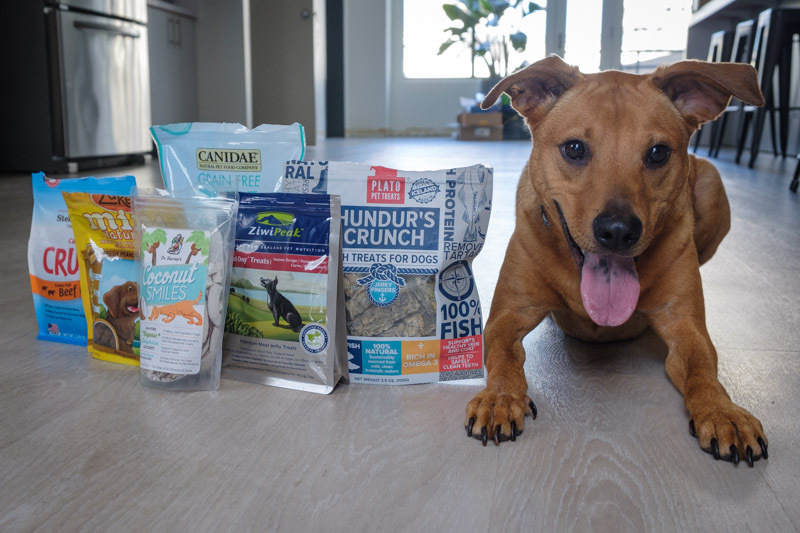 Dog trainer and author Linda Case notes that with any biscuit, “I look for a named animal protein first.” Canidae fits the bill, with salmon being one of its main ingredients. As a bonus, Canidae uses sweet potato as its binding agent. This is much more nutritious than other popular binders like corn, wheat, or soy. 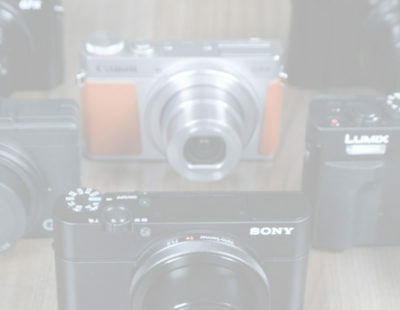 We preferred Canidae for its convenient size and shape, too. Some of the baked treats we tried, like the Blue Buffalo Biscuits, were so large that they looked like cookies for humans, and there was no easy way to break them into smaller pieces without making a mess. 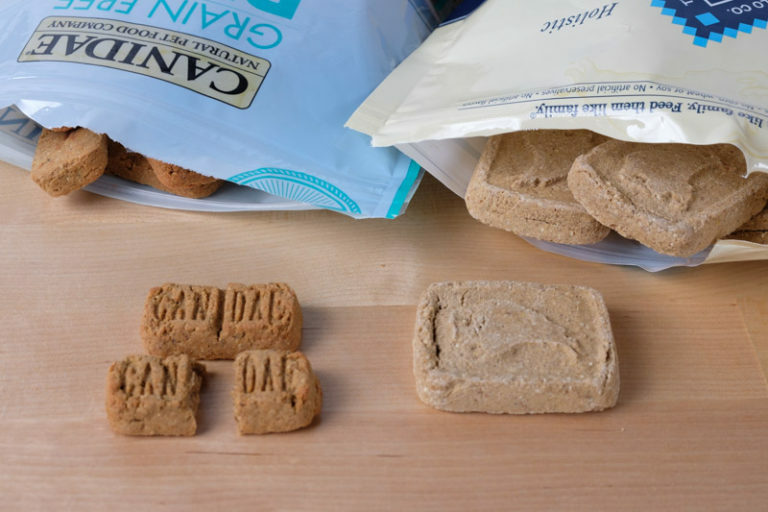 The Canidae biscuits are designed to be snapped in half for portion control. Canidae biscuits will only set you back $5 for an 11-ounce bag, which makes them the cheapest of our top picks. They’re a great choice if you’re on a budget, or have a multi-dog home that goes through treats like there’s no tomorrow. Don’t get us wrong: Our dogs weren’t turning down Canidae biscuits by any means. That said, these treats weren’t quite as popular as our other top picks in our taste tests. The most likely reason is that soft treats and jerky are less processed, and more closely resemble their meaty ingredients. We did notice that Canidae salmon treats have a somewhat fishy odor. Our dogs counted it as a plus, but humans with sensitive noses my prefer a milder treat (or even just a less fishy Canidae flavor, like lamb or bison). The best dog treats start with safe, healthy ingredients, but in the end it comes down to your pet’s personal preference. Some dogs prefer a soft, chewy texture, while others are happy with a crunchy bite. Your dog may prefer fish, chicken, or beef as the main flavor. The bottom line? As long as your dog doesn’t have allergies, experiment with treats to see which kind your four-legged friend likes best. You’ll know by an eagerly wagging tail and expectant, obedient “sit” as your dog waits to snap up that treat. It may come as a surprise, but the most common source of food allergy in dogs is actually protein. In fact, one study found that beef was the most common allergen in dogs, followed by dairy. If your dog shows signs of allergy, like dry skin or upset stomach, consider the protein source first. Limited or single-ingredient protein sources will help you narrow down any potential sensitivities. All of our top picks are available in multiple flavors, so you can find one that’s safe for your pup. Dr. Gary Richter, owner of Oakland’s Montclair Veterinary Hospital and Holistic Veterinary Care, emphasizes that “treats should be a minority of a dog’s or cat’s daily food intake.” Most experts agree that treats shouldn’t make up more than 10% of your pup’s diet. If you’re using treats frequently as part of training, simply reduce your dog’s meal portions to account for the added calories. We also recommend a low calorie treat like Stella & Chewy’s Carnivore Crunch or Zuke’s Mini Naturals. These only have around three calories per treat, so you can hand them out freely without worrying about calorie count too much. What dog treats are safe? You may have heard horror stories about dogs getting sick, even dying, from contaminated treats. Unfortunately, many of these stories are true. Dangerous ingredients and chemicals can sometimes find their way onto shelves thanks to sketchy supply chains and a lack of serious pet food oversight by the FDA. For more information about ingredients, labels, and treat safety, check out our buying guide: Are Your Dog Treats Safe? Can dog treats go bad? Yes. Though they have a longer shelf life than people-food (from a few months to a few years) dog treats do come with an expiration date. After their use-by date, dog food and treats can lose nutritional value, fatty ingredients may spoil, and mold can grow, especially in moist food varieties. Make sure you check the expiration date on your dog’s treats, and get rid of them if they’ve gone bad. Do do treats clean dogs' teeth? You may have heard that eating dry food or baked treats can help clean a dog’s teeth due to the additional chewing action and friction. It turns out this is simply a myth. Research shows that dry food is no replacement for regularly brushing your dog’s teeth. $10.68 for 12 oz. $15.06 for 3 oz. $7.59 for 11 oz. Even the best dog treats should only make up about 10% for your pet’s diet. So what about the other 90%? We analyzed more than 3,000 formulas to find the best dog food for your best friend — and that’s just the beginning. Check out some of our other pet-friendly reviews below.